A | Will You Miss Me When I'm Gone? 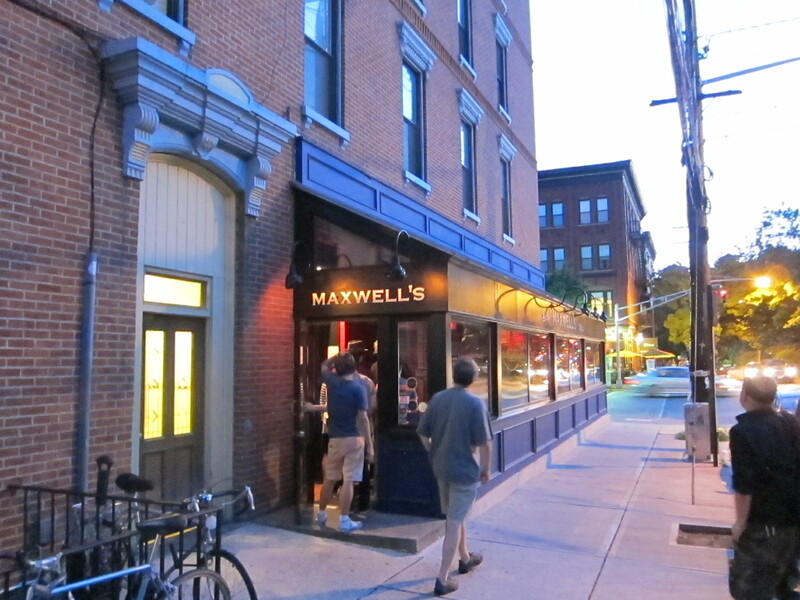 We’ve been thinking a lot about closing night at Maxwell’s, the well-loved Hoboken, N.J., music club that hosts its last show on July 31. There’s a selfish motive, in part, of course: How can WE get to be there. Surely with all the bands and fans that have passed through the Washington Street club over the last 35 years there will be far, far more people trying to get in than the small (capacity 200) venue can possibly hold. With closing a bit over three weeks away, Todd Abramson, the club’s booker and co-owner, is working on a plan. Todd Abramson with the New York Post’s Mary Huhn at South by Southwest in Austin, Texas, in 2003. But, as he told us by phone this morning, “there’s no news here” just yet. He definitely has some ideas about ways to make it accessible to more people and to level the playing field for those who want to be there. But he says he still has a lot to work out. What we know is that “a,” the first band to play Maxwell’s, is supposed to reunite for the farewell show. And The Bongos, the much better-known band that grew out of “a,” will also be on the bill. But after that, just about everything is pure speculation. Since things are in flux, you have a chance to weigh in with ideas of your own. What about timing? July 31 is a weekday. Should the show start at 9 and go all night? Or should it start in the early afternoon and go on and on? Who else — band, solo artist, influential individual or fan — be a part of the show in some way? Don’t just tell us who or what. Tell us why — make a case for your idea. There should be a good reason for every eulogy and every participant in the farewell proceedings. The sky’s the limit. Share you ideas in the comments section. Get a conversation going. Have fun thinking of the wildest ways possible to pay tribute to Maxwell’s incredible legacy. Meanwhile, The Bongos promise details of some sort about the show on their Facebook page soon. And keep an eye on Will You Miss Me When I’m Gone? We’ll be sure to let you know of any developments as soon as we can dig them up. 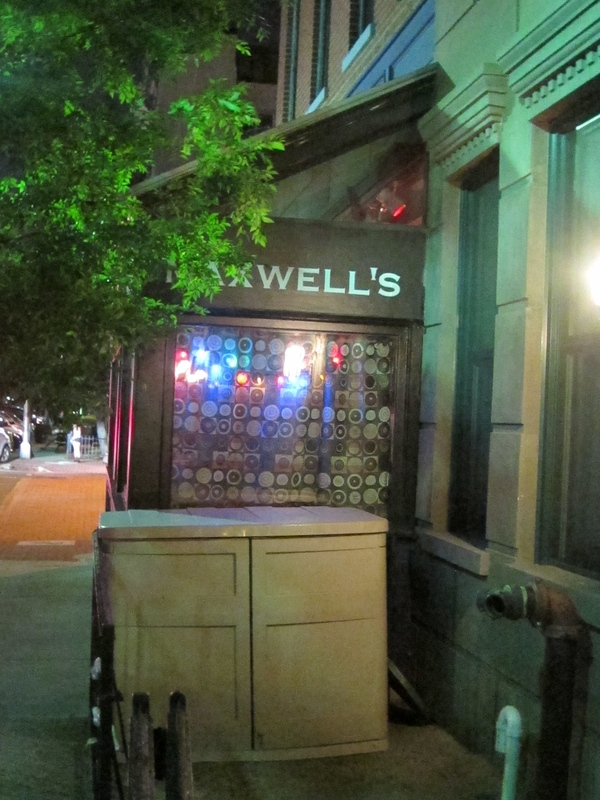 It’s always a tough, emotional thing to get to Maxwell’s in Hoboken, N.J., for The Feelies‘ annual Fourth of July show. You’re fighting for access to the Mile Square City with thousands trying to get to the waterfront to watch the Macy’s fireworks show in Manhattan. 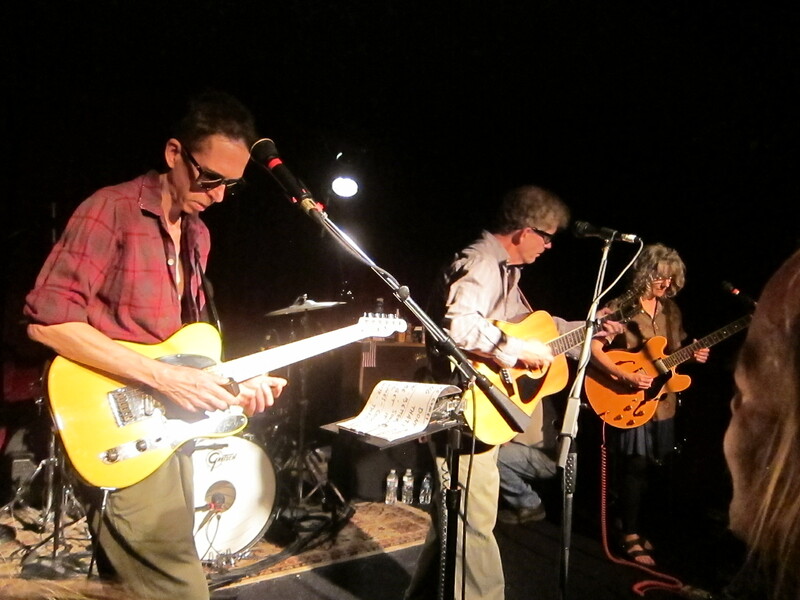 It was the very last Independence Day that The Feelies would be playing the venerated Maxwell’s music club. For fans and newbies alike, the night — the first of the band’s three-day holiday stand — was a touching one. Glenn Mercer, Bill Million and Brenda Sauter onstage at Maxwell’s on July 4. For their part, members of the band — Glenn Mercer on guitar, Bill Million on guitar, Brenda Sauter on bass, Stan Demeski on drums and Dave Weckerman on percussion — didn’t get maudlin and sentimental. They just did what they always do, playing a solid, well-planned set of crowd favorites, mixing their own turns — the older, nervous one and the new, slightly more melodic numbers — with a bunch of rock covers that they’ve added to their bag of tricks over the years. They brought up a longtime friend and associate, John Baumgartner (of The Trypes and Speed the Plough, and also involved in a graphics business with sister Janice Demeski), to join them on “Bluer Skies” early in the evening. They ended with three encores, featuring a surprise guest in the first set: Glenn Morrow, a longtime partner in Hoboken’s Bar/None Records and a member of Hoboken heyday bands like The Individuals, Rage to Live, and A, the band that later morphed, without Morrow, into The Bongos. Morrow joined The Feelies for The Monkees hit “I’m a Believer” and the Feelies favorite Beatles track, “Everybody’s Got Something to Hide Except Me and My Monkey,” to cement the simian theme. There were no surprises. But that’s not what Feelies fans want at the band’s shows. They want the satisfaction of a rock-solid set of favorites old and new. And that’s what they get. And that’s a better tribute to the soon-to-be-gone club than a bucket of salty tears and maudlin speeches could ever be.